Btw. does anyone know a good license for 3D content (non-commercial use only)? Looks great! 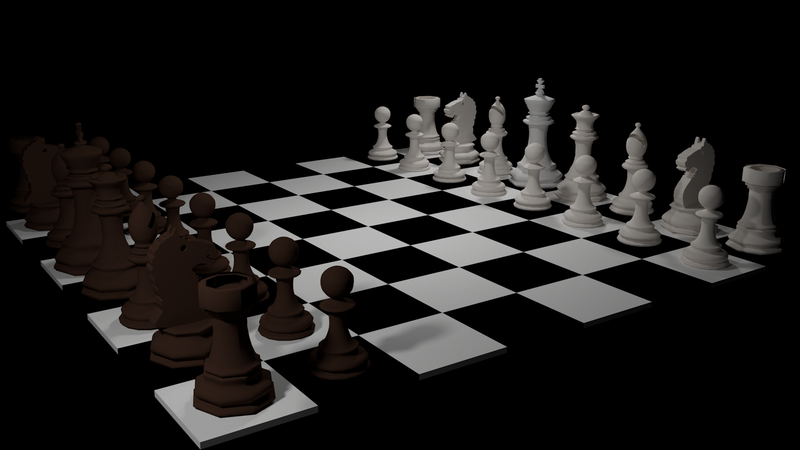 Here's a render of the chess set from my pathtracer, though I think I should've tweaked the lighting a more since the black side is a bit dim. If you insist on an open, non-commercial license with crediting, I would recommend CC-BY-NC. Please also note that models are typically not shared on GitHub. Of course, you can share your models there, but this is not the place where people will be searching for it. There are a lot of repositories that are specific to distributing these models. If you feel like it, choose one that you like and submit it there too. Ah, thanks for the link, now I have a better understanding of the CC licenses. So CC BY-NC 2.0 it is. Sure, it is your call! And thanks again for sharing.